It was the prize everyone wanted to win. Our Christmas Day Grand Prize was £3,000 to be shared between one lucky winner and their cause. And the lucky winner in question is Jane Osborne from Bristol! 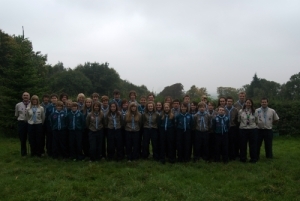 Her cause is Avon World Scout Jamboree 2011 Sweden, a group of 36 young people and 4 adults heading off to Sweden in May to take part in the World Scout Jamboree. Jane was delighted with her prize: “I’m going to the World Scout Jamboree as part of the International Service Team. I have to raise £1,000 plus travelling expenses and personal kit so winning the £1,500 is going to help me a lot! The scouts are still deciding how to spend their £1,500 donation but will probably use it to fund activities while they are in Sweden. Assistant Unit Leader Kevin Watson said, “We are thrilled that Jane has won, it’s such good news for her and of course for us! 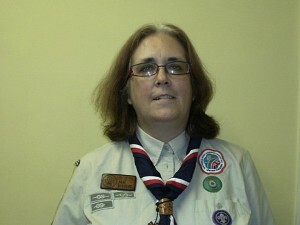 So a big well done from all of us here at easyfundraising to Jane and the Scouts. Watch this space for photos and videos straight from the Jamboree. If you would like to help Avon Scouts fundraise when you shop online with easyfundraising, find out how here.